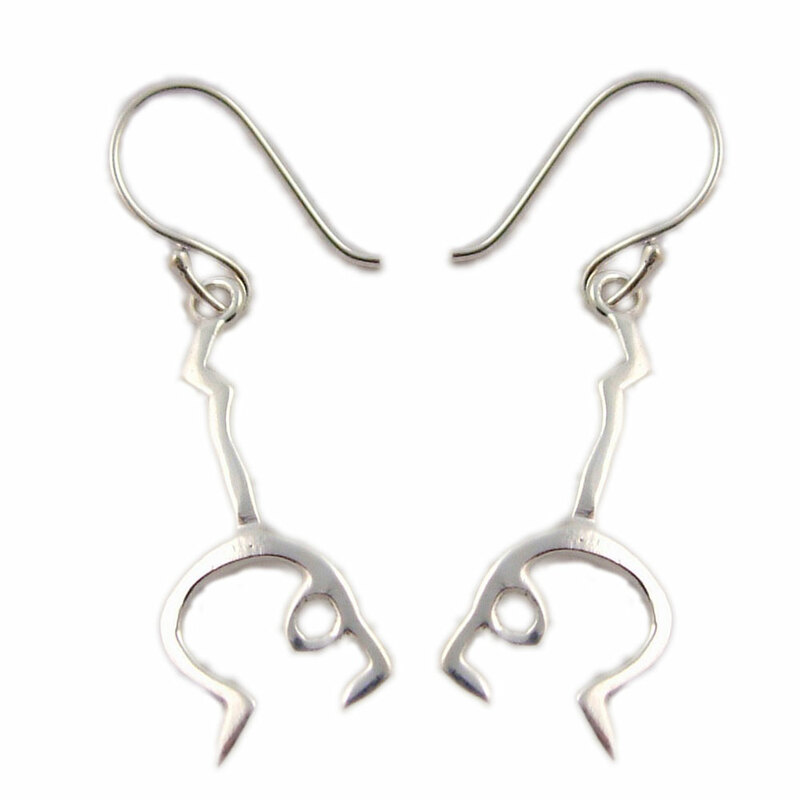 Upward-Facing Bow (Urdhva Danurasana) silver earrings. 2.5 cm, 2.8 g Sterling silver. Made in India. Sterling silver Upward Bow Pose Pendant (Urdhva Danurasana) with hook on the back and a stone, either Blue Chalcedony or Rose Quartz.